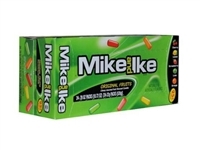 Fulfill Your Candy Dreams with Hot Tamales, Mike & Ikes, and Other Just Born Candies! Some people just love chewy candy, and Just Born candy is made for chewing. Whether you’re looking to restock your Mom-and-Pop shop or you need some candy to sell at an upcoming festival, don’t overlook the popularity of Just Born’s famous releases. The company is responsible for Hot Tamales candy, a spicy cinnamon sensation that’s often found in theater-sized boxes. Hot Tamales can be displayed next to bags of Just Born jelly beans or seated right next to their “sister” fruity candies, Mike & Ikes. For a nostalgic childhood memory, pop some Mike and Ikes into your mouth and see where they take you. 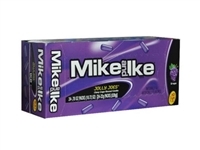 Mike and Ike candy is made with real fruit juice flavor and is a timeless candy that spans generations having been around for more than 60 years. Since not all of your customers may want fruit in their chewy candy, recommend Original Dark Peanut Chews. These little bites, with roasted nuts and a chewy center, pack a big taste and may just become a new favorite.